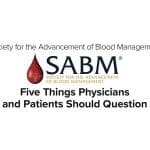 Dr. Chaffin opens the “Ask the BBGuy” mailbag to discuss D variants, Liquid Plasma, transfusion choices with warm autoantibodies, and directed donor unit management. See full discussion in written (blog) form below. This post is both a blog and a podcast! It’s a podblog! No, that doesn’t work…it’s a “blogcast!” Either way, the questions answered on the podcast episode above are also answered in writing below. Just keep scrolling! Use the player above to listen to Episode 006 of the BBGuy Essentials Podcast! DISCLAIMER: The opinions expressed on this episode are mine alone, and do not reflect those of the organizations with I am affiliated. I do not have any relevant financial disclosures. Daniels G. Variants of RhD – current testing and clinical consequences. Brit J Haematol 2013;161:461-70. Gosselin RC et al. Coagulation profile of liquid-state plasma. Transfusion 2013;53:579-90. Cao, Y et al. Never-frozen liquid plasma blocks endothelial permeability as effectively as thawed fresh frozen plasma. J Trauma Acute Care Surg 2014;77:28-33. Here are my responses to four different questions submitted to BBGuy.org through the “Ask the BBGuy” contact page, Facebook, or Twitter (use #AskBBGuy). These are the same questions discussed in the podcast episode linked above. This is a quick 140 character Twitter question, obviously, but it raises a lot of possibilities for discussion. The question came in response to BBGE 005, an interview with Dr. Connie Westhoff, in which she and I discussed the use of Rh genotyping in people testing in a particular way on routine serologic D typing. Let’s take a few minutes to review. 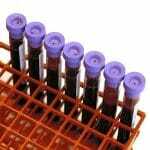 Testing for the D antigen (commonly referred to as “Rh grouping”) is a routine part of blood typing, and with the vast majority of people, that testing is simple and straightforward. Modern anti-D reagents are very powerful and sensitive, and just about everyone that carries the D antigen (i.e., is “Rh positive”) will test strongly positively (at “immediate spin” in tubes, and strongly on automated platforms like gel and solid phase). Those who are D negative will be D negative. No mystery, no problem. However, as time has gone by, we found that these neat little boxes didn’t reflect reality. In particular, advances in molecular testing revealed that both of these were caused by specific genetic changes, and we kept finding more and more and more of those changes! Some of those changes, however broke down our barriers. We saw some weak D people making antibodies when exposed to D-positive RBCs, and saw some partial D people that had smaller quantities of D than expected. In short, it started to get really messy! So, all of that just to get to the question! Yes, I think that the protocol suggested in Daniels’ paper and further defined in the workgroup that Dr. Westhoff described in the previous podcast is more than sufficient, and we shouldn’t get hung up on terms and labels anymore. Really, the most important distinction is for those who have weak D types 1, 2, and 3 vs all other forms of weak and partial D. There is sufficient evidence to conclude that weak D 1, 2, and 3 do not make anti-D when exposed to D-positive RBCs, so they can be treated as D-positive, while all other patients with D variants are best treated as D-negative when they are transfused or pregnant. Unfortunately, though, the only way to really prove this is to perform Rh genotyping, and while there has been a broad recommendation to do so for patients testing as a serologic weak D, I have not yet seen the practice become widespread. Dee from Colorado: “I have a few questions about using group A liquid plasma that would have a 26 day outdate. We would use it in place of AB plasma in trauma situations. What are your thoughts on this product? Is it FDA approved? Under what circumstances is it an appropriate product? If used, would you need to supplement for decreased levels of any of the coagulation factors? Full disclosure: Dee is one of my favorite people! She and I worked together at a previous stop in my career. Liquid Plasma (also called “never-frozen plasma” or “26 day plasma” by some) is a product that is not new (though it is gaining new attention in recent years). It is, in fact, an FDA-approved product, and its preparation is pretty simple in the United States. Here, the plasma product is simply separated from a whole blood collection and placed in storage at 1-6oC for a time period up to 5 days beyond the expiration date of the original whole blood unit. Since most whole blood products in the United States are collected using CPD or CP2D as the anticoagulant-preservative solution, and both of those give a whole blood unit a shelf life of 21 days, most units of Liquid Plasma expire 26 days from collection (a few centers collect whole blood in CPDA-1, which has a 35 days whole blood expiration, so FDA has approved the Liquid Plasma from CPDA-1 whole blood collections for up to 40 days). Here’s the deal: As the use of plasma has increased in trauma/massive transfusion settings in recent years in response to the desire to keep the number of red cells and plasma units transfused as close as possible (the trauma surgeons describe that as a “1:1 ratio”), it has become more and more difficult for transfusion services to keep up. There is really no way for a transfusion service to yank units of frozen plasma out of the freezer, thaw them (a 20-30 minute process by itself) and issue them in a timely enough manner to avoid “getting behind” the number of red cells that have already been transfused. Further, frozen plasma units technically “expire” 24 hours after they are thawed! 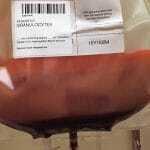 As a result, transfusion services have used a product called “Thawed Plasma” to fill the immediate needs. Thawed Plasma is simply Fresh Frozen Plasma (FFP) or Plasma Frozen Within 24 hours After Phlebotomy (PF24) that has reached its normal 24 hour post-thaw expiration time, but is relabeled and kept refrigerated at 1-6oC for up to 5 days after it was thawed. * It is also called “5 day plasma” by some, especially clinicians. The 5 day “window” to transfuse a plasma product allows transfusion services serving trauma patients to keep plasma thawed at all times so that it can be rapidly issued in an urgent situation. Everyone knows that coagulation factors decline in Thawed Plasma, especially Factors V and VIII (which drop by about 1/3 to 1/2 by the end of the five days), but the residual activity is considered sufficient for acute needs in emergency resuscitation. Even with the 5 day window allowed with Thawed Plasma, transfusion services in busy facilities may still struggle with keeping enough plasma immediately available for urgent situations. Further, smaller facilities that have fewer trauma cases may struggle with expiring Thawed Plasma on the shelf because they did not have an urgent need during that five day period. Thus, there has been increasing interest in a product that allows for a longer liquid storage state. Ta-dah! Enter Liquid Plasma! The obvious advantage of Liquid Plasma is a very long shelf life in liquid (ready-to-transfuse) form, offering transfusion services much greater flexibility in managing their plasma inventory. However, that benefit does not come without some risk. You would imagine, if Thawed Plasma has a significant decrease in coagulation factors at day FIVE after thawing, that Liquid Plasma probably has a more substantial decrease, wouldn’t you? Well, actually, not so much! The few studies that have been done (and I have to emphasize “few”) show that Liquid Plasma at 26 days has roughly the same Factor V and VIII levels as Thawed Plasma at 5 days. Some have raised concern about factor levels in CPDA-1 preserved Liquid Plasma stored all the way up to 42 days, while still others have wondered if the decline in anticoagulant factors like protein C or S could lead to hypercoagulation. 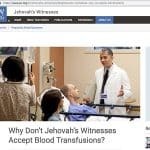 There have been a few studies comparing the effects of the two products, and there is at least a suggestion that Liquid Plasma may be even more effective at stopping bleeding than Thawed Plasma. Large clinical studies are lacking, and would be incredibly difficult to do. My perspective on this product is that it is just fine, and it will do what you want it to do, as long as “what you want it to do” is bridge a gap between immediate, urgent plasma transfusion needs and support with freshly thawed plasma products. I personally would not recommend using this product beyond that initial window between arrival of the patient and the time to thaw FFP/PF24. It is essential to have detailed conversations about this, however, with the trauma team in your facility (don’t just “spring it on them!”). As far as using group A Liquid Plasma instead of group AB plasma, I don’t see any difference between this product and any other plasma product, and I’ve written about that previously (see “Breaking the Rules” blog post from April 2016). 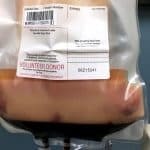 *Just an FYI for those of you studying for exams: While FFP and PF24 are the products most converted to Thawed Plasma, a newer apheresis plasma product called “Plasma Frozen Within 24 Hours After Phlebotomy Held At Room Temperature Up To 24 Hours After Phlebotomy” or “PF24RT24” can also undergo the same conversion. If a warm autoantibody does not have any specificity is it ok to transfuse any ABO compatible units? If the warm autoantibody does have specificity towards anti-e, or anti-C, any Rh antigen or any other antigen like anti-Jka: should you only transfuse units that are negative for the corresponding antigen or is it acceptable for the patient to receive any unit that is AHG compatible even though it is positive for the antigen corresponding to their warm autoantibody? I’ll be glad to tell you what I believe and my interpretation of the data, but you should understand that there are sharp differences of opinion about these things, and you need to work with your local medical authorities to determine the best course of action for your facility. Is this patient going to be transfused? 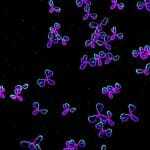 Is there an underlying alloantibody? That last question is really critical (OK, the first two are as well, and they aren’t the ONLY questions you will be asking), because I see people missing that question quite often. In your case, you told me that the crossmatches were negative, which is great, but you didn’t tell me what you did in between the antibody screen results and the crossmatches, and that is a critical step. Warm autoantibodies (WAA) are generally very broadly-reacting, meaning that they will attach to red cells from virtually every donor (exceptions discussed below) and make all RBCs incompatible. As a result, if you look at an antibody screen (which you didn’t mention but I assume was positive) and an antibody identification panel (same as above), you will just see across-the-board reactivity against all cells. It is not only possible but common (30% or so) of patients to have underlying alloantibodies (things like anti-K, anti-Jka, anti-D, anti-c, etc.) that you really can’t see right away. So, it is essential to rule out alloantibodies in these patients before you make transfusion decisions! How you do that is a topic for another day, but it will typically include things like autoadsorptions that remove the autoantibody and allow you to evaluate the serum for alloantibodies. If an alloantibody is identified, then obviously, you would avoid transfusing units from donors carrying the target antigen as much as possible. If there are no alloantibodies (and I assume that was true in your case), it is probably most common practice to transfuse people with WAAs off-the-shelf ABO compatible units, and the strategy most often chosen is the ancient and useless (my opinion) “least incompatible” method. Basically, the blood bank crossmatches multiple units of ABO compatible RBCs and chooses the one(s) with the least incompatibility (or most compatibility, if you prefer). This strategy is not proven to predict anything, but it makes blood bankers and clinicians feel better. 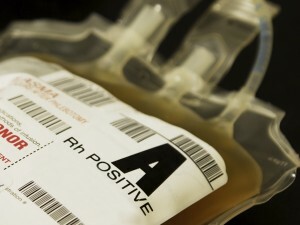 However, there are a growing number of centers that have looked at the data showing that people with WAAs are very likely to form alloantibodies, and have decided to prophylactically match donors and recipients for at least Rh and Kell antigens (for example, if the patient is K– and C–, avoid giving K+ and C+ RBCs). Other facilities go even further and add Kidd and Duffy matching. In the end, I think that at least the Rh and Kell matching is defensible and reasonable, but different centers feel differently about this. For WAAs that show “specificity,” in my view, the decision on whether to give antigen negative units depends on whether or not the antibody has “relative” or “absolute” specificity. For example, it is quite common for WAAs to react more strongly against certain Rh antigens than others. However, if everything is reactive, and the reactions are just STRONGER against that antigen, that is a “relative” specificity, and the data so far does not show a benefit of giving antigen negative units (i.e., the RBCs seem to survive the same regardless of the presence or absence of the relative WAA target). In fact, honoring those relative WAAs can be a big mistake in some cases! For example, I saw a case recently with a WAA with a relative E specificity, and I was asked if they should give the patient E– RBCs. I asked if the patient was e–, and the answer was yes. I think it would be dumb to immunize the patient to an antigen they lack (especially a high incidence one like e) in order to avoid a relative WAA E specificity that probably doesn’t matter! Now, in the case of “absolute” WAA specificity, the answer is a little bit different. WAAs that react ONLY when a particular antigen is present (again, generally in the Rh system) are often honored by blood bankers, giving the patient units that are negative for the specific antigen. Many of those antibodies may not actually BE WAAs, though, as we are discovering more and more variant antigens both in and out of the Rh system that may induce alloantibodies that look like autoantibodies. Oh, directed donations! Not my favorite topic, to tell you the truth! I am not a big fan, I admit, but let’s take a minute and go through what the regulations say about directed donor blood. “Directed” blood donations (sometimes called “designated”) are simply those where a patient (or the patient’s family) chooses their blood donors! 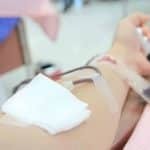 They are theoretically used for situations of specific, urgent medical need, but in reality, they may be requested when a recipient simply does not want to receive blood from the general blood donor population. In my experience, this is typically an education issue, and a detailed discussion with a patient about today’s risks of transfusion will usually lead to the request being cancelled. However, there are certainly cases where directed donations are indicated, such as a patient with a rare blood group who has made an antibody against a very high-frequency red cell antigen. The antibody may make nearly everyone else’s blood in the world incompatible, but just by simple genetics, the patient’s siblings would have a 25% chance of being compatible. There are certainly other examples that make sense, but “I’m afraid of being transfused” is usually not one! Anyway, back to the issue: When directed donor blood is requested, it generally requires a clinician to write an order for the blood, telling the transfusion service and blood center how many units are needed, what kind of products are needed (most requests are for red cells, but we will see plasma, platelet, and rare whole blood requests, as well), and when the product is needed. A blood center will typically require that their medical director approves the request, as well. If everything is acceptable, the directed donor or donors will be screened in exactly the same way that regular (volunteer, or “allogeneic”) blood donors are screened. They are asked the same questions and given the same screening examination, and their blood is tested in exactly the same way as regular blood donors. In short, a directed donor must meet all of the same requirements that a regular donor must meet, with the possible exception that they may be allowed to donate more frequently in order to meet an urgent medical need. So, the short answer to the question is, YES! If a directed donor unit is not needed for the intended recipient, it is totally ok to use that product in your general inventory for transfusion to other recipients. Note that there may be some struggles with your computer system and with billing if you do so, but those are issues that you will have to address at your facility. Comments, concerns, criticisms? Hit me up in the comments below. We tend to get request from families who want to donate to their ill loved one on holidays. Christmas Eve, Christmas day etc. The patients will be in need of blood urgently (Hgb < 7.0 g/dL and dropping). Are you aware the American Red Cross won't work up Directed Donors on a STAT or Urgent basis, and that an appointment MUST be made. Additionally it requires 5 or more days to work up the donation. So it is unrealistic to say directed donations are used for urgent medical need. Plus, when a minor needs blood as mentioned above, it is a difficult line to dance convincing the family and friends the best way to go is with a volunteer donor and that the Blood Bank is not trying to run up their bill. Immediate family directed donation would cost more due to the irradiation requirement. Chris, thanks for your comment. I accept your criticism of my use of the word “urgent” in this context. I was trying to imply “important” rather than “time-sensitive” to the use of the word, but what you say above is fair. Directed donations generally do not happen quickly. I can’t speak to the processes used by the Red Cross in your area, but my blood center also requires that directed donors donate by appointment, after evaluation of the request. As far as the financial part goes, directed donor blood is generally more expensive than routine volunteer donor blood (in some cases, a LOT more expensive! 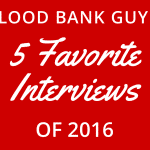 ), and so I really haven’t experienced being accused of running up the bill by encouraging the use of “regular” banked blood. Thanks for writing! What is the best practice for patient who have a history of WAA and alloantibody. If phenotyped matched prbcs was transfused a week ago, should auto absorption need to be done again before giving out a phenotype matched product? 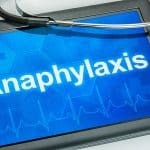 We have to send out patient with WAA and I’m trying to make a guideline. What is a Para-Kell antibody? Or does such an animal exist? Irene, I’m not familiar with that terminology. I welcome anyone else’s comments if it is a term that is familiar to them, but it’s not something I’m aware of. 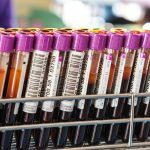 Got a job offer in the US, Blood Bank Department is assigned to me,I found your page in Podcast, and I’m learning a lot from the topics you are discussing on podcast, Helps me a lot to gain ideas about Blood Banking in the US. Thank You.